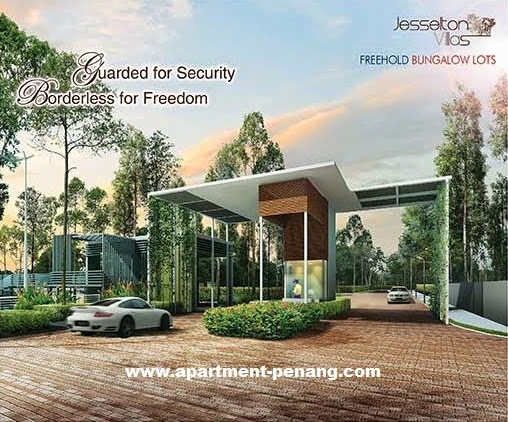 Berjaya Land Development Sdn Bhd, a subsidiary of Berjaya Land Berhad, is introducing 208 units of exclusive ‘guarded’ bungalows at the Penang Turf Club in Batu Gantong. 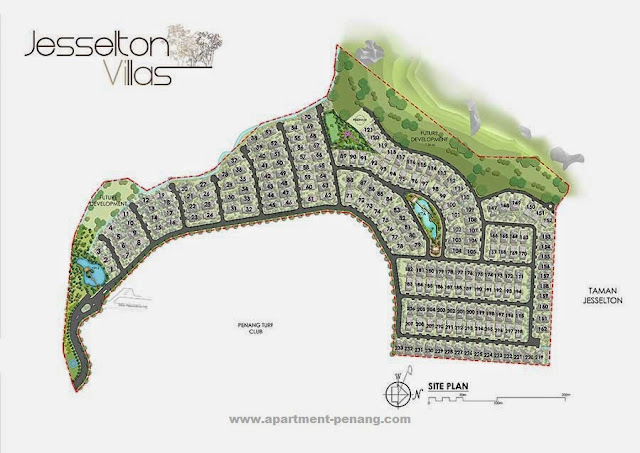 The project, known as Jesselton Villas, is located in an exclusive and affluent area next to the millionaires’ enclave of Jesselton Heights. Sitting on a 23.5ha site near the largest natural green lung in George Town, a RM10mil budget has been allocated for landscaping and a golf course. Among its selling points are the recreational facilities such as a play park, water landscape ponds, jogging tracks, water features, gazebos and a proposed density of only four units per 0.4ha. The housing project is in close proximity to Gurney Drive (4.5km), George Town (5km), Penang Bridge (8km) and Batu Ferringhi (11km). The amenities within driving distance are St Christopher’s International School, Penang Chinese Girls’ High School, St George’s Girls School, Penang Free School, Chung Ling High School, Union High School, Han Chiang High School and the Penang Medical College. It is also close to Gleneagles Medical Centre, Penang Adventist Hospital, Island Hospital, Penang Hospital, Mount Miriam Cancer Hospital, Kek Lok Si Temple, Penang Hill, Gurney Drive, Island Plaza, Penang Plaza and Straits Quay. The project was launched in May this year and is scheduled for completion in the second quarter of 2017. Priced from RM3.2mil onwards, the place is great for living and ideal for investment. Those who wish to know more about the project can visit the property showcase of Jesselton Villas on July 19 and July 20 at the Ixora Hotel in Bandar Perai Jaya, Jalan Baru in Prai, from 10am to 4pm.